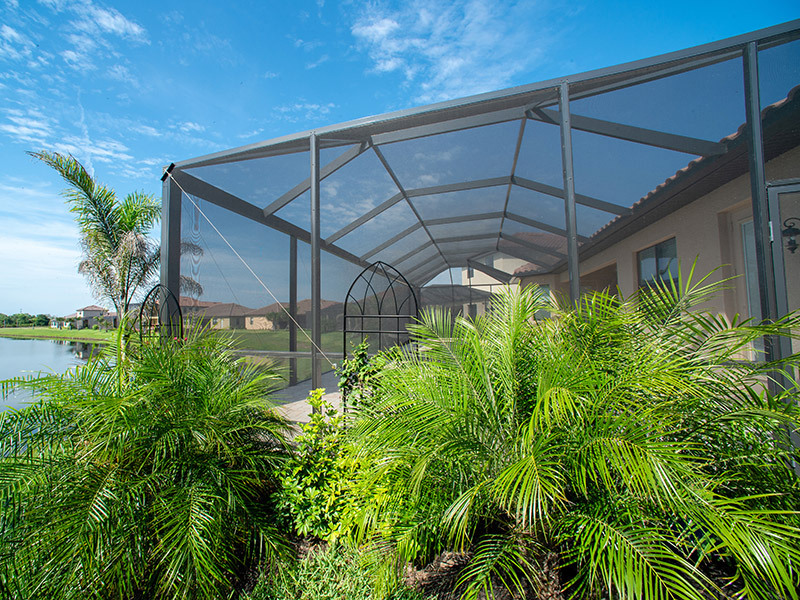 Quality pool cage and lanai rescreening for less. 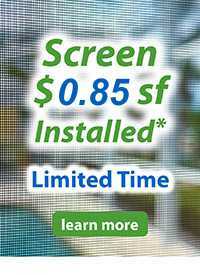 Surprisingly affordable screen replacement for your pool, lanai or patio enclosure. CRA also offers repair, painting, upgrades and tune ups. Commercial Residential Aluminum has added more dedicated screen crews and for a limited time we are offering rescreening for an unbelievable price. That’s expert installation of quality 18 x 14 standard fiberglass mesh for your pool or patio enclosure by they trusted professionals at CRA. 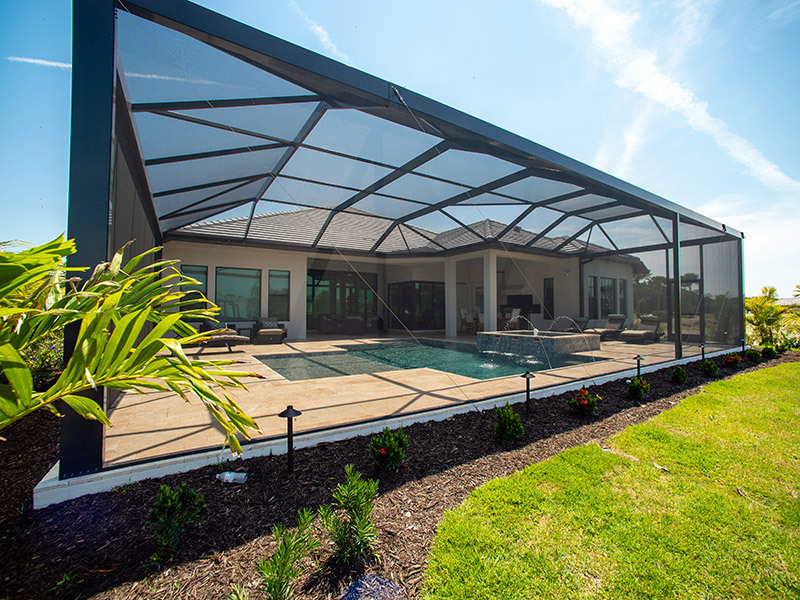 If necessary, as manufacturers and installers of pool and patio enclosures CRA can can also perform general maintenance, including tune ups at the same time. Call (941) 486-9104 or request service today to take advantage of this special offer. We can typically have your screen installed within 30 days of scheduling your service. $95 service charge on installations under 800sf. 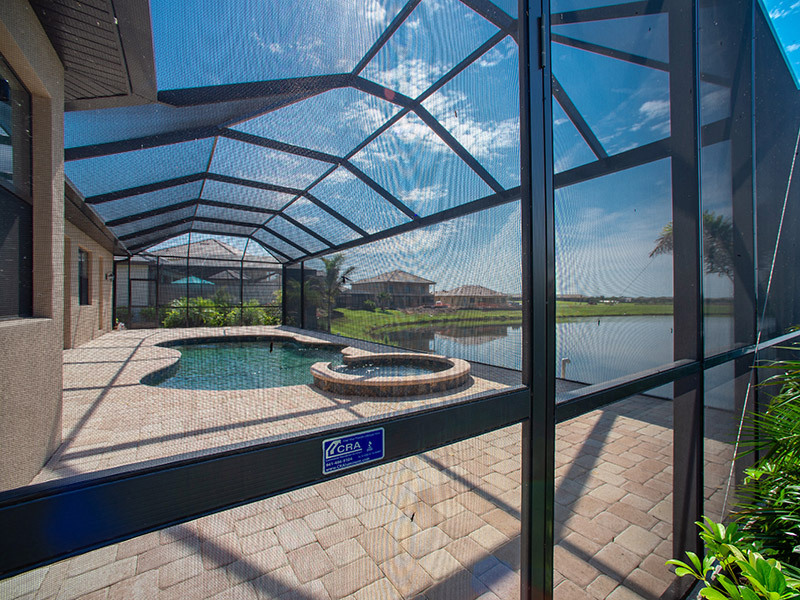 Are you looking for a way to update your existing pool cage or lanai? Do any of your screens need to be replaced or repaired? 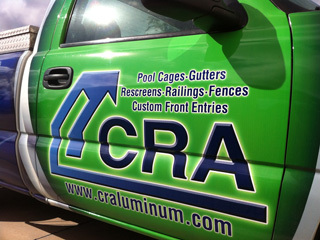 CRA can accommodate all of your screen and pool cage repair needs. 5. Mesh size for insect and dirt control. Premium screen. 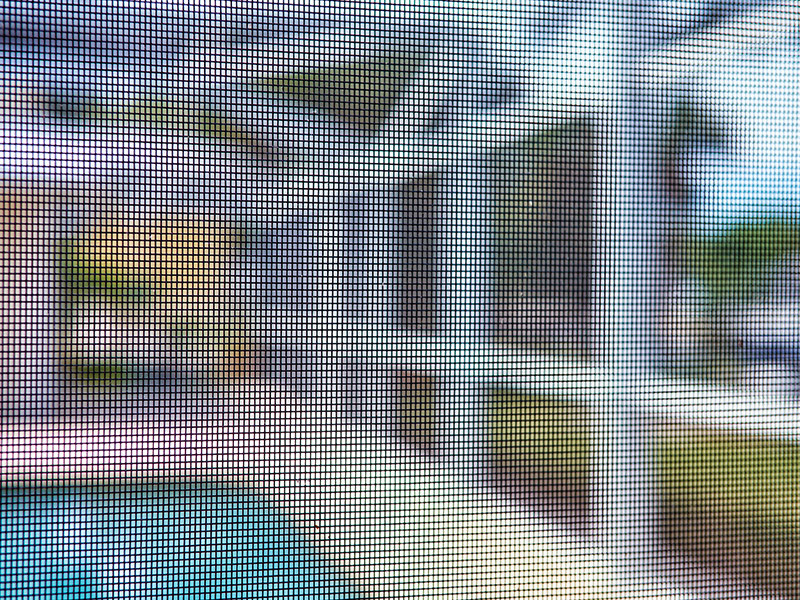 Our premium 18/14 is our most popular replacement screen for Florida homeowners. 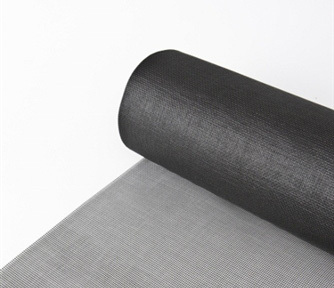 This screen offers good ventilation and insect protection. 1. The amount of overall screen you need replaced. 2. Type of screen you elect to use. 3. Where the panels that need to be replaced are located. Don’t be fooled by “lowballers” who may be using a very cheep inferior screen that will need to be replaced soon or contractors that are not licensed or insured. Trust the experts at CRA to always give you an excellent product and service at a very fair price. Many clients take advantage of giving their cage a “Tune Up” when replacing screen panels. CRA can replace your week or rusted metal screws with non-rusting, high-strength stainless steel screws making your cage stronger than ever before. We also offer Pool Cage Painting to make your cage look like new or to give it a new color. Ask your associate for some of your options and pricing details. Leave it to the professionals at CRA for all your screen replacement and repair. 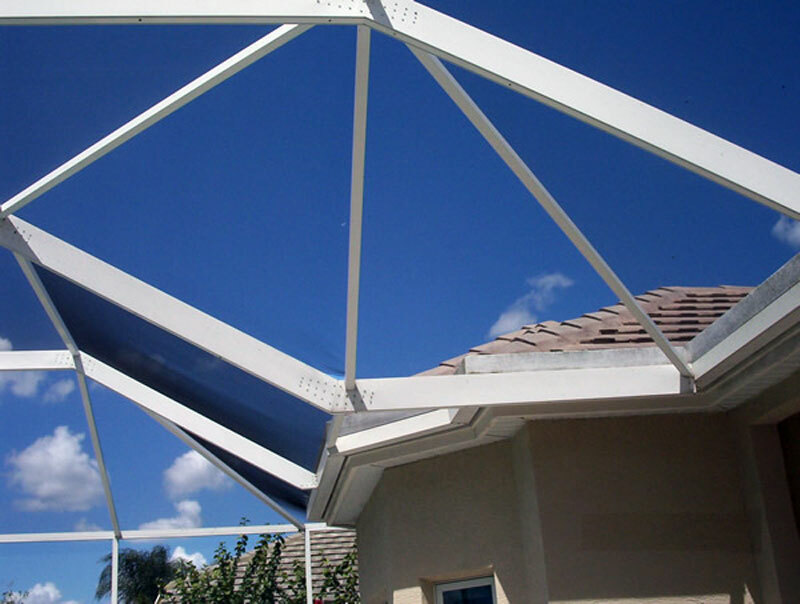 We offer the highest quality screen, installed by licensed and insured professionals. We serve Florida’s Gulf Coast and central corridor from Greater Tampa – Bradenton – Sarasota – Venice – Ft. Myers – Naples. Call for a quick estimate on your next screen replacement or pool cage repair. 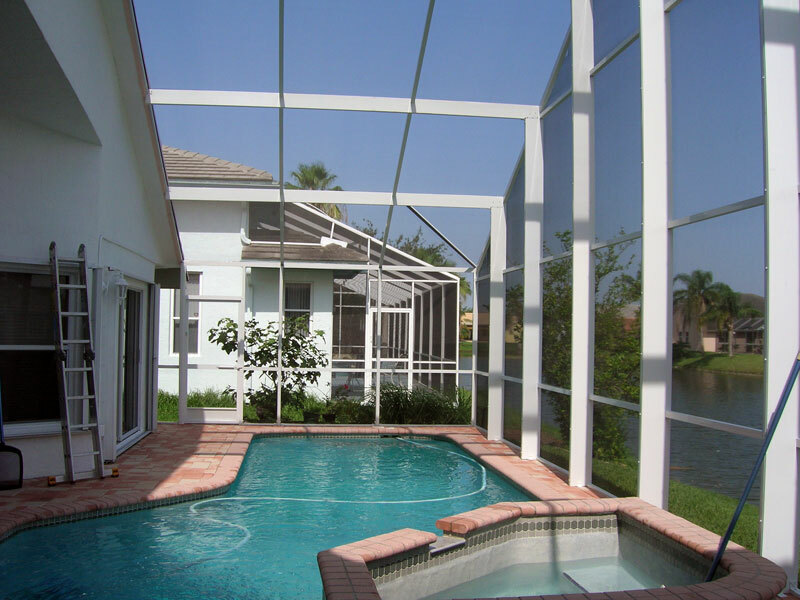 Commercial Residential Aluminum replaces pool cage screen in greater Sarasota and throughout Florida’s Gulf Coast from Tampa to Naples. 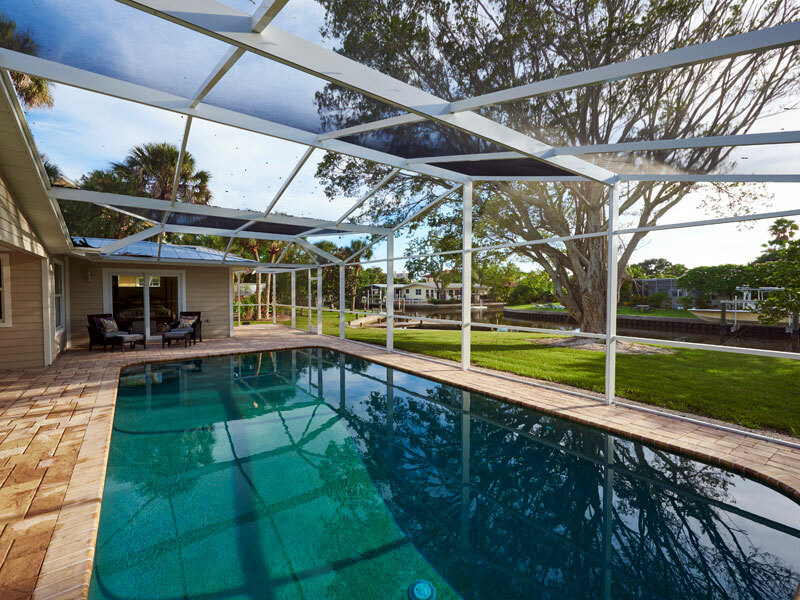 Our residential crews are waiting to help you with all your pool cage and screen enclosure repair needs. 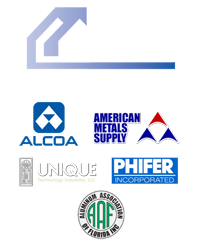 Expert service and premium quality don’t have to cost you more. 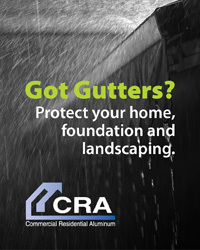 Call the professionals at CRA today to schedule service or get a Quick Quote today!